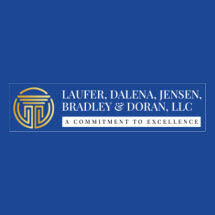 The family law firm of Laufer, Dalena, Jensen & Bradley, LLC, provides experienced and dedicated representation throughout Morris County. We are among the most established law firms in Northern New Jersey and we are widely recognized for our ability to handle complex issues related to divorce, custody pre-nuptial agreements, domestic partnerships, annulments, relocation and adoptions. In addition to our family law practice, we offer services in personal injury, DUI defense, workers' compensation, real estate transactions and alternative dispute resolution. Regardless of your legal needs, we will place your interests first and vigorously pursue the outcome you desire. The attorneys at our firm have considerable legal experience and a commitment to excellence. We have attorneys designated as Super Lawyers* and others listed in The Best Lawyers in America. Additionally, we have lawyers who received the highest peer rating possible of AV Preeminent** from Martindale-Hubbell. As a convenience to those we represent, Laufer, Dalena, Jensen & Bradley, LLC, accepts credit cards. **AV®, AV Preeminent®, Martindale-Hubbell Distinguished and Martindale-Hubbell Notable are certification marks used under license in accordance with the Martindale-Hubbell certification procedures, standards and policies. Martindale-Hubbell® is the facilitator of a peer review rating process. Ratings reflect the anonymous opinions of members of the bar and the judiciary. Martindale-Hubbell® Peer Review RatingTM fall into two categories - legal ability and general ethical standards.